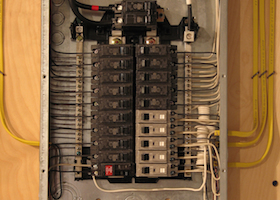 Don Hegge Electric is one of the desert’s original electrical contractors. 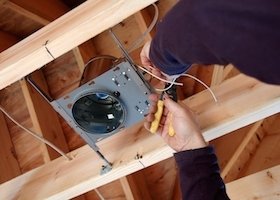 Whether you are in need of a ceiling fan installation or electrical repairs, we can do it all. We specialize in line and low voltage cabling, landscape lighting, surge protection and more. Quality is our focus, it’s what defines us. Call today for a free estimate! 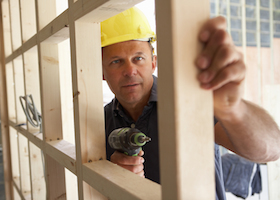 Our technicians will provide you with expert advice and electrical construction services. You can rely on Don Hegge Electric! From TV cabling to phone cabling, our team at Don Hegge Electric will take care of your electrical installation needs. 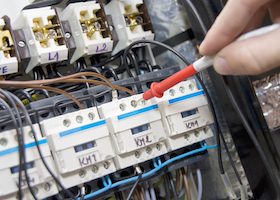 If you are in need of electrical repair look no further! We are are dedicated to providing quality and efficient service. 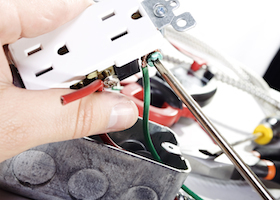 Whether you are installing a BBQ or your house needs a rewire, our electricians will take care of your electrical wiring. If you suspect your electrical panel is out of date, give us a call at Don Hegge Electric and we will upgrade your system. 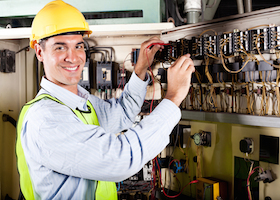 Our team of certified and experienced electricians at Don Hegge Electric have been serving the Coachella Valley for over 25 years.